I can’t believe it. I really can’t. We’ve entered the last month of 2015! And what a month it is. Let the crazy Christmas spending commence! And then let us all regroup on January 1st. K, bye. 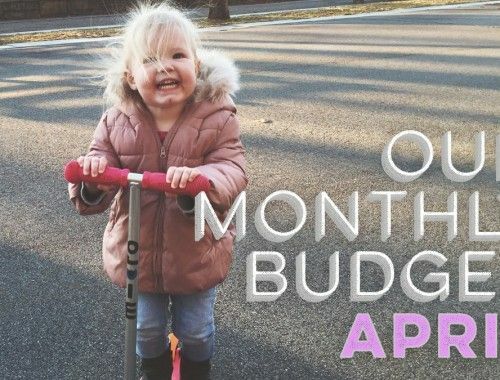 In all seriousness, although our spending will be preeety crazy this month (as I’m sure yours will, too), we’re still budgeting each and every extra expense. For our Christmas spending, I’m using a good ol’ fashioned piece of paper. I’ve written out each person’s name, the amount we plan to spend, and then I track each item we buy and its corresponding expense under each person’s name. I didn’t want to completely rework our budget app on our phones just for this month of super irregular spending, so paper it is. We’ve already finished up Sally and Winnie’s Christmas gifts, and they’re socked away in one of our closets. Now we just have to finish gifting for relatives, friends, and each other. 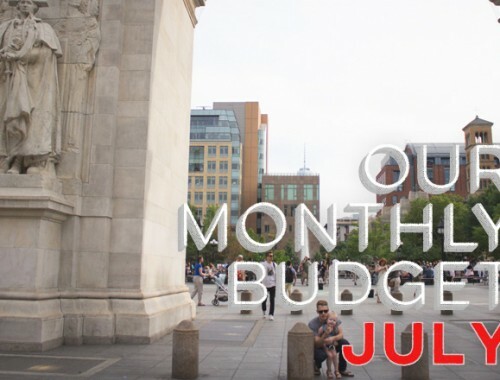 Aside from gifts, we’re going to try to stay on track with our budget otherwise. I don’t think we should have a problem with this, aside from our Food category. I’ll have to be extra vigilant tracking it. We tend to do more baking and special meals this month, and we’ve been eating out more often since we began our side business. So fingers crossed we can make it work. I’m keeping our December budget separate from our gift spending this month. So the budget above really just shows what we hope to spend aside from our gift spending. On a related note, we’re staying home for the holidays this year, so we don’t have any travel expenses to incorporate into our budget this month. Starting in November, Sally and Winnie started being watched part-time, about 10 hours/week. It gives me a chance to focus completely on work stuff during the day, and it gives them some guaranteed social time during these colder months. It’s been a great transition for all of us. Sally really looks forward to her time away, and Winnie loves it, too. Our savings has been taking a hit since we started our side business. We have a steady income with Johnny’s consulting, and we’re not spending more than usual, but we are investing money into our business. So we’ll see how that affects our net worth come year’s end. So that’s that! In less than a month, 2015 will be over, and we’ll get to see how our budget fared. 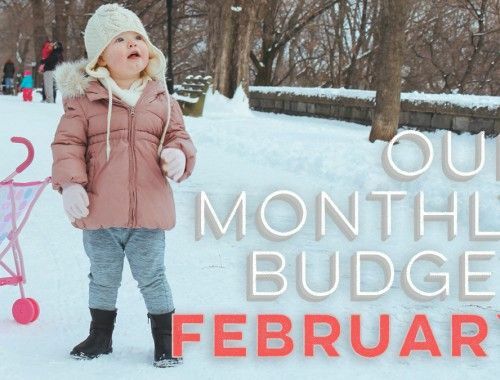 As much as I love the Christmas season, I have a feeling I’ll be very ready to get back to a normal budget once January hits! 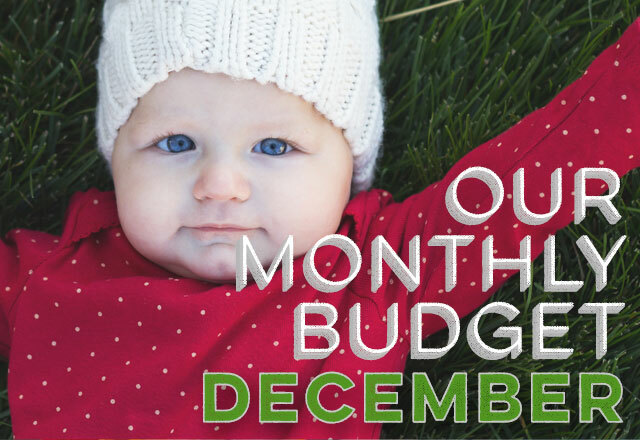 How is your December budget (i.e., Christmas spending!) shaping up? I found that even though it is a month with irregular expenses, we also saw an increase in our income. Really helps curb that Christmas spending! Love reading your blog! I’m a pretty new reader, first time commenter, and new to budgeting. Reading your blog has really helped me get my spending act together. Because of being inspired by your blog, we budgeted and had all of our Christmas shopping done between October and November, and just have a few stocking stuffers left which will be bought on a gift card that is coming in the mail this week. It is so nice to NOT have the stress of over spending for December. Yes to going overboard with food during the month of December. I used to fight it, but then I just gave up and incorporated an additional baking category into our Christmas budget. Because if I want to bake sugar cookies, I will darn it. Also, I was really hoping that you guys would share an actual holiday budget…like spending for decor and gifting etc. I think it is easier to create a separate budget for Christmas spending too instead of counting it in your regular monthly budget. Having the kids watched can be hard but it makes it so much easier to focus and be productive during your work time. Hi! This is a general (not holiday) monthly budgeting question: I know you never shared your NYC rent because it is an outlier to the rest of the country, but it has always been a sad reality for me – my husband and I just moved from NYC to the comparable SF ($3000-4000 range, plus in SF you need to have a car – something I have never before owned, turns out it’s pricey). Rent is the single most stressful item on my budget, and I just don’t know how you kept your budget roughly the same in NYC despite the uptick in rent! Would you mind sharing what you paid in NYC or the range? I promise I’m not trying to make excuses not to budget (!! ), but just trying to understand the rest of your budget in relation to your rent. Thanks!! Hi Sarah! Great question. Unfortunately, rent is just plain expensive in city living. And that’s something we had to face while we were in NYC. We also paid in the $3000-$4000 range while in the city. We had to accept that we had no control over that aspect of our budget while we were there, but we made our best efforts to budget otherwise and pick up freelance work to help pad the extra money we were shelling out. I had $500 in savings for Christmas shopping but exceeded it this year. Any chance you’ll be sharing your Christmas budget? I can understand if you don’t choose to, but at the same time it would be very interesting to hear how yours compares. Now that Christmas is over, and I definitely spent more in gifts and restaurants than normal, I am looking forward to a fresh January budget! I’ve even seen a spending lull this Christmas week and I be this upcoming week. Time to breathe a sigh of relief! And also vowing to put closer to $750 in my 2016 Christmas savings account.